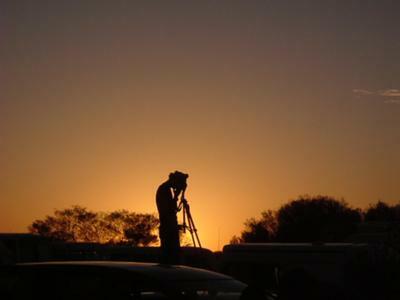 While we were waiting for the sun to rise at Uluru, I turned to see how far the sun had risen, when I spotted this guy standing on the roof of his car, with his camera and tripod, silhouetted against the dawn sky. It sure is. Thanks for sharing it!